Experience the unparalleled beauty of the desert and reacquaint yourself with mother nature at the Hyatt Pinon Pointe resort. Find affordable timeshare resale and rental advertisements online today with SellMyTimeshareNow.com. 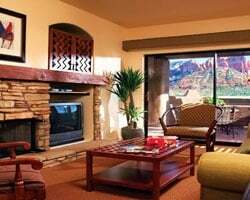 Sed amid the Red Rocks that make Sedona a natural and alluring retreat, the Hyatt Pinon Pointe resort offers the best in desert comfort. The resort's design and expertly-maintained grounds focus on acquainting you with the mild, high desert environment that surrounds you. With amenities ranging from two heated outdoor pools, a sundeck, and a massive shopping complex, you'll be vacationing in a destination that is both thrilling and relaxing. Perfect for hikers, art enthusiasts, golfers, or anyone looking to relax for a while, the Hyatt Pinon Pointe will provide the retreat you need. The resort is comprised of 98 two bedroom units and 11 one-bedroom units, offering flexible accommodations for groups of any size. Couples and families alike will find the condo-style units at the Pinon Pointe Sedona are spacious enough for everyone to be comfortable. You'll be able to enjoy in-unit amenities ranging from full kitchens to private balconies, and have peace of mind knowing you'll be staying in a unit that's up-to-date and equipped with modern furnishings. If you're ready to guarantee years of great trips to Arizona, take advantage of the deeply discounted timeshare resale and rental postings currently available at the Hyatt Pinon Pointe, a Hyatt Residence Club. Fill out the form on this page to learn more about ownership options, or call a representative at 1-877-815-4227 today. When you buy a timeshare resale at the Pinon Pointe resort, you're not only guaranteeing yourself a luxury retreat year after year in a beautiful destination—you're also guaranteeing those accommodations for thousands less than others pay. Timeshare resales are offered for sale by their current owners on the secondary market. This means that the same great ownership accommodations offered directly by the resort are available to you for much less. You can find resales at the Hyatt Pinon Pointe for prices up to 70% below retail costs. Resales at the Pinon Pointe are available in deeded fixed and floating weeks all year long, giving you plenty of different ownership intervals to consider when making a purchase. You'll be able to find the accommodations you want at the prices you want without having to settle. Additionally, you'll be able to find an easier avenue into the Hyatt Residence Club, one of the most rewarding vacation clubs in the industry. 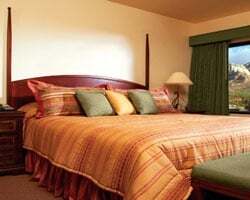 The Pinon Pointe resort is affiliated with the Hyatt Residence Club. Those who purchase timeshare resales at the resort will find that joining the club will unlock a number of exclusive benefits designed to heighten your vacation experience. While resale owners won't be able to earn Hyatt Gold Passport points to book stays at Hyatt hotels, you'll still be able to upgrade your ownership and enjoy special perks. For example, you can choose your ownership style with Hyatt points or timeshare weeks, and you could also have the ability to seek reservations at other Hyatt resorts. Hyatt Pinon Pointe is also affiliated with the world's second largest timeshare exchange company, Interval International. Exchanging your timeshare can allow you to take full advantage of your timeshare ownership, enabling you to seek out stays at other resorts all over the world. 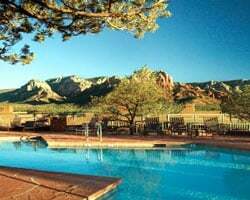 As a Hyatt timeshare resale owner, you'll have instant access to an Interval membership, which means you can start trading your Sedona accommodations immediately. What's more, the Hyatt Pinon Pointe holds an Elite resort rating from Interval International, noting its excellence in accommodations, services, and amenities. 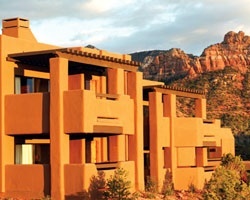 This Hyatt Sedona timeshare resort features a wide variety of on-site amenities to make your stay in Sedona memorable. Enjoy the resort's sprawling sundeck, which is complemented by two swimming pools and two outdoor spas. Utilize the fitness center or walking and jogging trails to stay on top of your exercise goals, or hit the shops instead at the neighboring 32,000-square foot Shops at Pinon Pointe complex. Spend those chilly desert nights around the fire using one of the resort's fire pits, or enjoy dining at the Wildflower Bread Company or the Sound Bites Grill. Nearby, you'll find plenty of opportunities to explore and discover the Sedona area. Hike through hidden Red Rock canyons just outside the resort's grounds, or embark on kayaking or rafting excursions along Oak Creek. Day trip to local attractions like the Chapel of the Holy Cross, or head a few hours north to the Grand Canyon. Already Own at Hyatt Pinon Pointe?